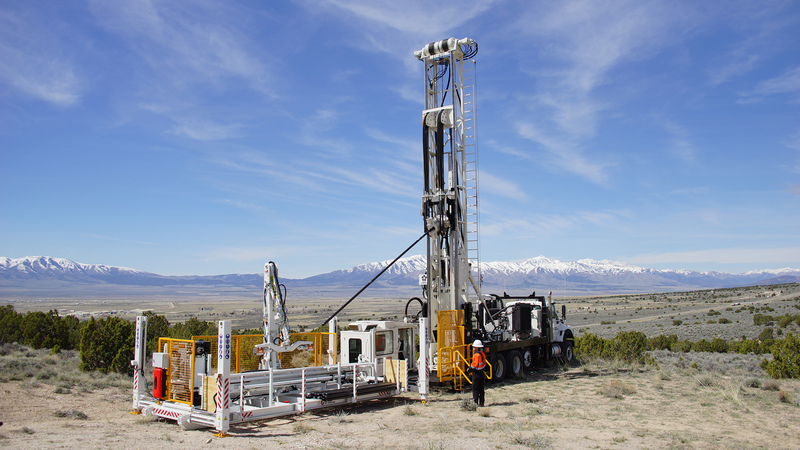 Salt Lake City, Utah: 28 March 2018 — Boart Longyear announces it is adding new exploration drill rigs to its Drilling Services fleet around the world to meet the demand of expanding exploration budgets. In Chile, a brand new LF™160 top-drive coring rig is being added to a current customer project where two LF160 rigs are already working onsite. The LF160 rig paired with the FL262 FREEDOM™ Loader provides 100 percent hands-free rod handling. This combination is even safer as it removes the driller’s assistant from the hazards associated with handling rods manually, including the risks of injury involved with adding or removing rods from the drill string, including rotating parts, heavy lifting, awkward body positions, pinch points, fatigue and repetitive strain. The Operations team in the United States is also adding two LF160 rigs, and a brand new LF™350e rig. The LF350e is the latest deep coring surface rig that can reach up to a depth of 3,360 meters of NRQ™ V-Wall™ and can deliver 3050 meters of HQ core or 1800 meters of PQ core using HRQ™ V-Wall and PHD W-Wall rods. The LF350e rig also uses the FL262 FREEDOM Loader for hands-free and safer rod handling. Also in the United States, the Boart Longyear engineers and technical services group is working on several up-fitting projects including adding a rod loader to an LRTM90, a large rotary rig, and putting remote controls on an LR™90H large rotary horizontal rig to add drilling controls to a trailer that can be as far away as 100 feet – a big safety benefit to move drillers away from high-walls. In Africa, the Company is purchasing two new Schramm T685WS rigs for multi-purpose drilling applications including exploration, and adding two LF™230 surface coring drill rigs. The LF230 deep hole drill provides the features and the power required to get just about any job done, easily and efficiently. A 40,000-pound hoist allows for rig depth capacity beyond its class. The PQ Nitro-Chuck™ is field tested and designed to offer performance and reliability to conquer even the hardest projects. The LF230 is ideal for both wireline coring and rotary drilling with tri-cone bits. The LF™350e with the FL262 FREEDOM Loader for hands-free rod handling.